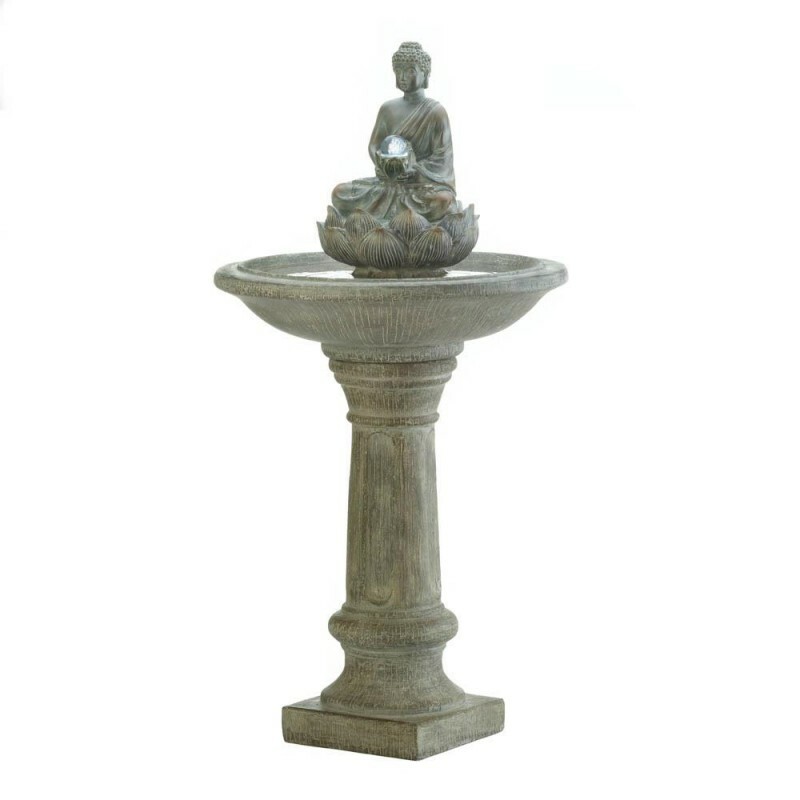 This water fountain blends classic style with peaceful zen. The classic pedestal base and water basin holds a beautiful Buddha figure in a meditative pose, as he sits in a lotus flower and holds a glass orb. The ball lights up with help from a single LED light.